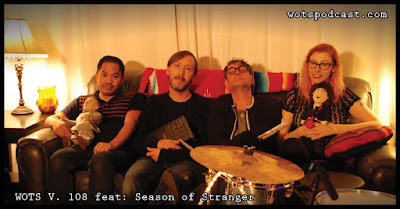 This week on the podcast we sit down with the members of Season of Strangers. We get to know Lino T Fernandez, Mandy McGee, Jesse J Bynum, at Jason Markin house in Tacoma. They just wrapped up recording the live recordings you will hear on the podcast. We talk about how they formed as a band, going through line up changes, and how they plan to use the live recordings. We also went around the horn and got to know each member of the band, and we talked about setting up Popnoise Fest NW. I hope you enjoy this conversation as much as I did!